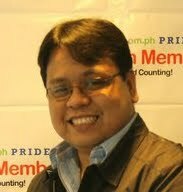 Sulit.com.ph lifts revenue by 50% using Custom Search Ads on the Search result pages. s “worth it” and refers to the deals available on Sulit.com.ph. The site helps users in Philippines locate, buy, and sell products online. Co-founder RJ recently spoke to us to describe how he optimized AdSense performance and revenue by moving from AdSense for Content to Custom Search Ads on the search result pages of Sulit. As a refresher, Custom Search Ads is a special feature that allows publishers to monetize their search results pages with targeted and customizable search ads similar to those found on Google.com. Inside AdS ense: Can you tell us a little about how and when www.sulit.com.ph got started? RJ: Sulit.com.ph started as a project for my then-girlfriend and now-wife Arianne and I in 2006. We launched it as an experiment to understand the online market potential for our business and we wanted to determine which category the users were looking for and where we could invest as an online business. After a few months, the traffic to the website started to grow which made us decide to push through with the classified ads site. The decision to move ahead with Sulit.com.ph proved to be a great call as Sulit has become one of the most visited websites in the Philippines today. Our purpose was to help connect Filipino buyers and sellers online, in a marketplace if you may. RJ: By November 2006, the traffic to the website had started to increase. Since this was a bootstrap project, we did not have any business model in place at the beginning. I was using AdSense on some of my smaller websites and understood the value of having AdSense on our site. So we decided to monetize the site by using AdSense. We signed up for an account in November 2006 and got our very first AdSense check in February 2007. It was easy to use and the returns helped us grow our experiment to a full blown corporation. AdSense served as our primary revenue source while we were growing the business. IA: Why did you decide to try out Custom Search Ads on your pages? RJ: I received an optimization tip from the AdSense team suggesting I maximize revenue by changing from AdSense for content to AdSense for search on my search result pages. AdSense for content was an effective system as it displayed related ads to the content of a webpage. AdSense for search takes the relevancy to a whole new level and hence its more effective. The code allows us to display ads related to what the user is actually searching for. It benefits us by providing value to our users. When our users see related ads and no clutter on our search result pages, we guarantee return and loyal visitors which in turn helps our business grow. And since the the ads are relevant we’ve seen more click and this helps us to continue providing this free service through the revenue we generate through AdSense. RJ: It surprised me that it is possible to serve advertising that gives value to our users. It allowed us to add more development resources in tweaking and adding more innovative features to Sulit.com.ph which is helping to get more and more users to use the website. I’d recommend that other publishers who have a search based site consider optimizing revenue by adding Custom Search Ads on the search results. If the ads are appropriately positioned, it will provide a great user experience and also ensure that you maximize your Google AdSense returns. I would also recommend that you test the ad units on your site since you the publisher will know how the user responds, and navigates through your site best. Since the implementation of Custom Search Ads on our site we’ve seen a 50% increase in our overall revenue through AdSense, which is fantastic! If you have a search-based site, we encourage you to learn more about Custom Search Ads and apply to use the feature. Sulit in Filipino mean s “worth it” and refers to the deals available on Sulit.com.ph. The site helps users in Philippines locate, buy, and sell products online. Co-founder RJ recently spoke to us to describe how he optimized AdSense performance and revenue by moving from AdSense for Content to Custom Search Ads on the search result pages of Sulit. As a refresher, Custom Search Ads is a special feature that allows publishers to monetize their search results pages with targeted and customizable search ads similar to those found on Google.com. One of the 10 things we hold to be true here at Google is that fast is better than slow. We keep speed in mind in all things that we do, and the +1 button is no exception. Since the button’s launch, we have been hard at work improving its load time. Today, we’re proud to announce two updates that will make both the +1 button and the page loading it, faster. First, we’ve begun to roll out out a set of changes that will make the button render up to 3x faster on your site. No action is required on your part, so just sit back, relax, and watch as the button loads more quickly than before. To generate the new async snippet, use our +1 Configuration Tool. 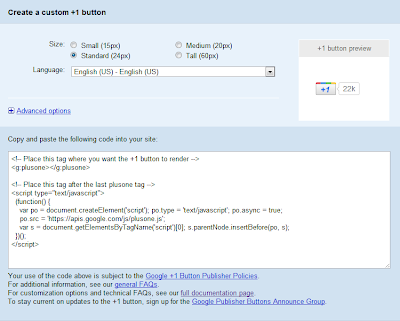 Below, you’ll find an example of the code, which should be included below the last /g:plusone tag on your page. If you haven’t already implemented the +1 button on your site, we’re excited for your first experience to be a fast one. This is a great opportunity to allow your users to recommend your site to their friends, potentially bringing in more qualified traffic from Google search. To those that already have the button, we hope that you enjoy the improvements in speed. Our team will continue to work hard to enhance the +1 button experience as we know that “fast is better than slow” is as true today as it’s ever been. If you have any questions, please join us in the Webmaster forum. 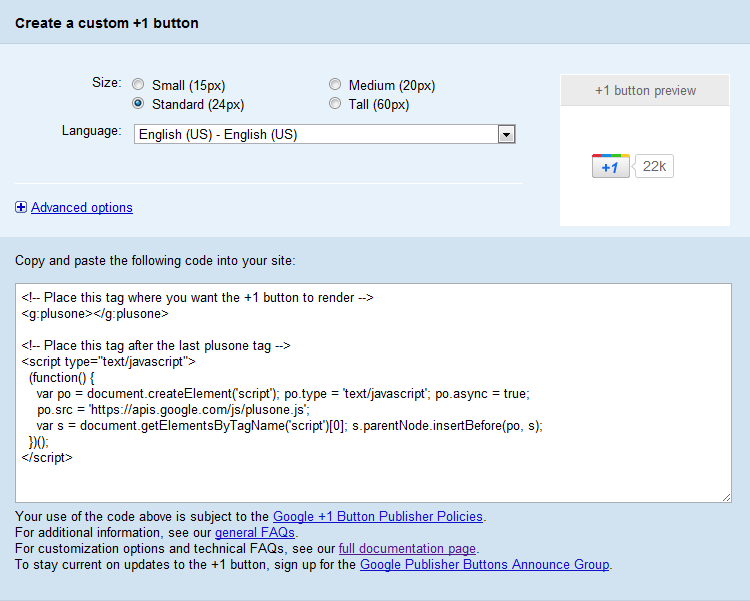 To receive updates about the +1 button, please subscribe to the Google Publisher Buttons Announce Group. For advanced tips and tricks, check our Google Code site. Targeted link units bring in 25% of MyPlayCity’s online revenue. MyPlayCity.com offers more than 350 full-version, downloadable games, all for free. Ksenia Kazak, director of marketing and PR, shared her experience with growing MyPlayCity’s revenue and improving AdSense performance just by adding link units to their pages. Inside AdSense: Tell us a little more about MyPlayCity. When did it launch? Ksenia Kazak: We created the site in 2006, and today have more than one million visitors daily. We offer casual games, which are easy to play, small, colorful and suitable for all ages. None of our games have time limits, and users can download them and play for as long as they want, for free. It’s great for our users, because gamers usually have to pay for their games. IA: How do you use AdSense on your site? KK: We’ve used AdSense from the very beginning – it was a clear choice for us. We’ve used features like AdSense for search, AdSense for feeds, and we recently implemented AdSense for games which has worked really well for us. From time to time we’ve tried using other ad networks, but they haven’t worked as well as AdSense – it is our main source of revenue. IA: Why did you decide to start showing link units on your site? KK: We learned about adding link units as we were setting up AdSense on our site. We’re always eager to try new things, so we decided to give link units a go. We learned that we could add up to three link units in addition to the three AdSense for content units we already have on each page, so we decided to give it a shot. We wanted to ensure the site would stay user-friendly and create a positive user experience. So, we thought carefully about ad placement, as it’s important to us to emphasize our content and build a loyal user base that will keep coming back. Following recommendations from the AdSense team, we implemented a wide 728x15 format with four links on the top and bottom of the pages. KK: The link units are very efficient in terms of revenue – they bring in 25% of our total online revenue. The ads are quite targeted and they generate a huge user interest. Compared to our other AdSense for content ads, the link units perform very well. With this additional revenue from link units, we’ve been able to add more games to our collection. We’re able to improve our site and bring in a larger audience that’s increasingly loyal. In terms of placement, our link units at the top of the page perform well, as users are more likely to see them there, yet they do not distract from the page content. At the same time, the link units also work really well at the bottom of the page, as users tend to scroll down to change the language of the site. It’s another opportunity for users to find the links. The AdSense team recommended using four link units instead of five, since the font is larger and they are more visible to the user. I’d recommend other publishers adding link to their sites, as they are an excellent solution in limited space. They take up very little room, but the revenue is significant. If you’d like to add link units to your site like MyPlayCity, sign in to your account today. Once you've updated your pages, link units will appear immediately. If we haven't yet crawled your page, we may initially show your alternate ad or a 'View ads about' search box in the link unit. Try wider formats with fewer links – for example, 728x15 (4 links), 160x90 (4 links), or 468x15 (4 links). Effective placements include the top of the page (after navigation and before page content) and at the bottom of the page (at the end of an article). Horizontal ad link units usually work better for this (728x15 and 468x15 formats). If the horizontal format is not adapted to your site, you can use vertical formats (such as 160x90 or 200x90) to fill small spaces in the sidebar. Or try wrapping text around the ad units inside an article to serve as a content breaker. launched in 2009. Since then we’ve improved the results pages of these search engines with new features like mobile compatibility, more layout options, and new ad formats. We’re excited to announce that we’re now also taking steps to update the look and feel of traditional Custom Search Engines that embed results in an iframe on publisher sites, or that host results pages on Google. In 2010 we kicked off the AdSense in Your City program by visiting and optimizing more than 400 publishers in six different US cities. We loved getting to meet you face to face, and are very excited to announce that our next stop is Boulder, CO.
On July 26th and 27th, 2011, a few of our optimizers will be at our Boulder, CO office to provide optimization tips and solutions. We’d love to meet you, so please fill out this form if you’ll be in the Boulder, CO area on July 26th or 27th and would like to schedule an appointment with our team. Once we get your RSVP, we'll follow up via email with additional details if there's still room. Scheduling will be done on a first-come, first-served basis, but we’ll do our best to include as many of you as space will allow. Try out this new report by navigating to the new interface and clicking on the Performance reports tab. Choose Platforms in the left navigation. And as a quick reminder, we’re gradually moving away from the older version as we continue to focus on reporting improvements like these. Do you have feedback about this new report, or are there other reports you’d like to see? Please share your thoughts and suggestions in the comments field below. If you haven’t yet tried the new interface, learn more about getting started today. Today, we’re excited to offer you a brand new report that shows you the platforms that your visitors are using to access your site. You’ll be able to see a breakdown of your earnings based on where your traffic is coming from, which you can use to then optimize your site and give users a better experience. For instance, if you find that you’re receiving a high percentage of traffic from mobile devices, we’d encourage you to create a mobile version of your website and monetize it with AdSense for mobile content.